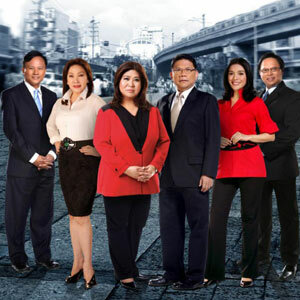 The shows of GMA News TV are anchored by (L-R) Howie Severino, Mel Tiangco, Jessica Soho, Mike Enriquez, Vicky Morales and Arnold Clavio. "As the year 2011 heralded the beginning of another decade, it also marked GMA News and Public Affairs’ continued dedication to deliver the latest news as it happens, when it happens, from virtually anywhere in the globe. 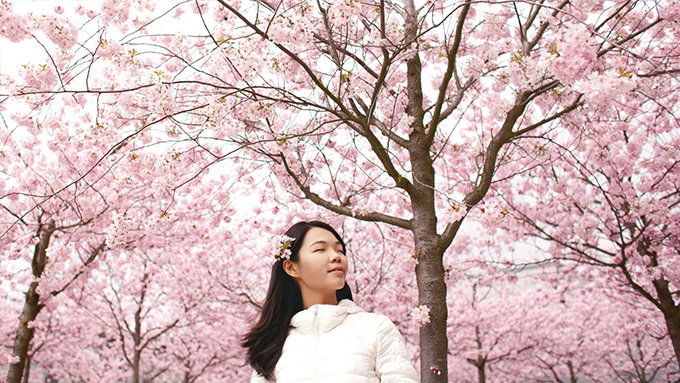 "In the past year, GMA gave viewers the most memorable coverage of events that shaped that world and the year that was starting with the team’s extensive coverage of the calamity that struck Japan. When a massive quake hit the coast of Honshu and brought about one of the most devastating tsunamis in Japan’s history, the GMA News team was there to give viewers important updates on the aftermath as well as the condition of Filipinos residing in several affected areas. "GMA also took viewers to the much anticipated Royal Wedding of Prince William and Catherine Middleton. Premier journalists Jessica Soho, Vicky Morales and Connie Sison reported live from London to deliver the latest reports from the ceremonies at Westminster Abbey up to the balcony of Buckingham Palace for the newlyweds’ first (and second) official kiss as a couple. "From the Royal Wedding, GMA News and Public Affairs went straight to Rome, Italy for the Beatification of the world’s beloved pope, Pope John Paul II. "But at the end of the day, what can be considered as the Network’s most memorable coverages for 2011 would be the ones close to home. GMA’s coverage during Typhoons Pedring, Quiel and Sendong were noteworthy for the fearless news teams, gripping images and extensive scope that went far beyond the typhoon’s affected areas. GMA News kept viewers updated throughout the day through extended bulletins. Reporters braved strong winds and heavy rains to provide unparalleled coverage of the devastation caused by these typhoons. YouScoop, GMA Online’s brand of citizen journalism also played an indispensable part during the news coverage of these disasters. "The past year also saw the launch of GMA News TV on February 28, 2011. "Powered by the most trusted broadcast news organization in the country, News TV’s formidable roster of news and public affairs personalities is headed by multi-awarded broadcast journalists--Jessica Soho, Mike Enriquez, Mel Tiangco, Arnold Clavio, Vicky Morales, Howie Severino, Kara David, Malou Mangahas and Prof. Winnie Monsod. "The channel prides itself on having a comprehensive and informative lineup of programs from sun up to sun down. "News TV capped off the year as the leading news channel when it registered 3.1 points in total day household audience shares in National Urban Television Audience Measurement (NUTAM), ahead of ABS-CBN News Channel’s 0.1 and Aksyon TV’s 0.4 points for the period of Nov. 1-Dec. 31, 2011. "For the men and women behind GMA News and Public Affairs, 2011 is testimony that the catchphrase Serbisyong Totoo has undeniably become a way of life. For them, Serbisyong Totoo is an attitude in which merely delivering the stories that mattered to the viewers can longer be considered enough. It just has to be delivered with the kind of passion that only these men and women are known for - the same passion that gave GMA News and Public Affairs continued dominance over its counterparts throughout the year in terms of ratings and awards. "GMA-7’s banner news program, 24 Oras, won the most number of local awards and continues to be the country’s most trusted news program. In the same manner, a number of other GMA News and Public Affairs programs also continued to make headway in Philippine television: Imbestigador’s 10th anniversary special report dubbed "Smuggled Pinoys," won the Silver Screen award in the Investigative category of the 2011 US International Film and Video Festival. Biyaheng Totoo also won big as it bagged the silver trophy under the Special Reports/Features category, while I-Witness won Bronze World Medal for Social Issues/Current Events Category in the 2011 New York Festivals. "For its part, GMA News TV has bagged more than 25 awards in just under a year of its initial broadcast. Among these are: the Most Trusted News Presenter from Reader’s Digest Asia bagged by Jessica Soho; Best News Magazine Show Award from the Catholic Mass Media Awards for State of the Nation with Jessica Soho; Best Documentary Special Award from the 25th Star Awards for a documentary commemorating the country’s national hero -- Pluma: Rizal Ang Dakilang Manunulat and citations from the Anak TV awards for 13 of the channel’s programs. The Front Row episode "Yaman sa Basura" was also the only Philippine finalist at the UNICEF-funded Asia-Pacific Child Rights Awards. "Throughout the year, GMA News also gave viewers several information and social-awareness campaigns in the likes of "I Am Ready," an informational campaign to keep viewers ready in any emergency situation; "Think Before You Click," a campaign that promotes the responsible use of social media; "Hero Ko Si Rizal," a campaign that features four vignettes drawing a parallelism between the national hero and today’s Filipinos; "Edsa 25: Dahil Tayo’y Pilipino" to commemorate Edsa People Power’s 25th Anniversary and "Panata Ko" a campaign that calls for a commitment to improve one’s self for the coming year."